I’m a bit embarrassed to write about this because I can’t believe with all my knowledge about diet fads, tricks and rorts, I actually succumbed to this one. But I thought I should share this with you, in case you are tempted like me, so that you can learn from my stupid mistake and save your hard-earned cash. Chatting with a friend a few weeks ago, the topic of conversation veered onto weight loss and exercise. Lou is doing well with a jogging regime and one of those NIKE bracelets that monitors how far you run and how many calories you are burning. 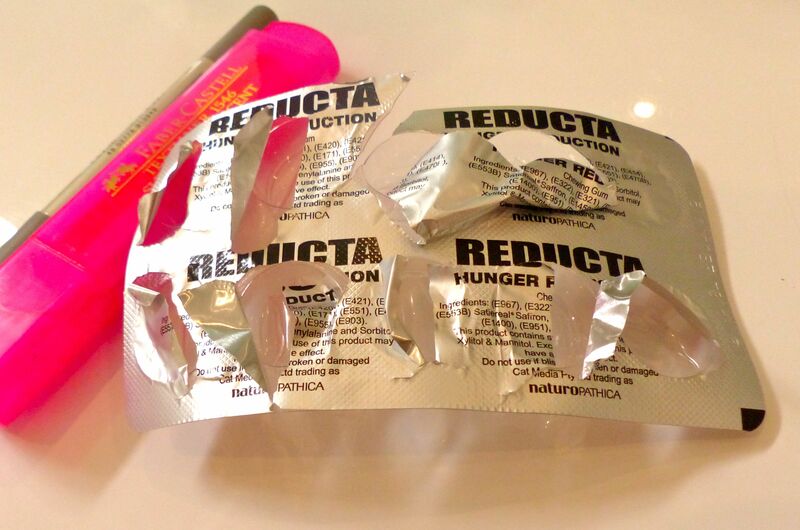 And then she revealed another weight-loss ‘secret’ – a brand of chewing gum called REDUCTA. 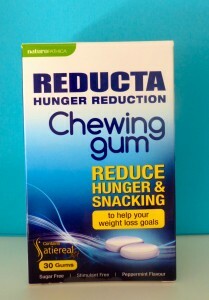 Lou swore by it as a means of curbing those hunger pangs and helping to shed kilos. I was sold. A personal recommendation is always going to make me jump on the bandwagon of any diet quick-fix, because, hey, isn’t that what we’re all looking for? Forget the rule – if it sounds too good to be true, it probably is. If someone is promising something painless that doesn’t involve exercise, I’m there. Off I rushed off to the supermarket, only to be shattered to find the shelf empty. SOLD OUT?? Well, that only proved Lou’s point, didn’t it? It MUST be the new miracle wonder drug if so many people were snapping it up. I haunted Coles daily and harassed the manager until finally, a new batch arrived. I didn’t even balk at the cost. This box of a mere THIRTY pieces of gum is TWENTY-EIGHT DOLLARS!! For me, that’s just about any time of the day, so I quickly chomped through an entire packet in record time. Maybe it’s just me, but I felt not even a teensy, eensy bit LESS LUNGRY than usual. In fact, I probably ate more cake and chocolate than I usually do. Disappointed, I wondered if it was just me and decided to do a bit of online research. I then found another website that reviews diet fads, called ‘Diet Pill Examiner’, which completely trashes the gum’s claims. There’s a host of reviews from other suckers like me – all agreeing it’s a complete waste of money. Now I realise why Lou was REALLY looking so trim. It was the exercise and better diet regime that did it – as it will every time. 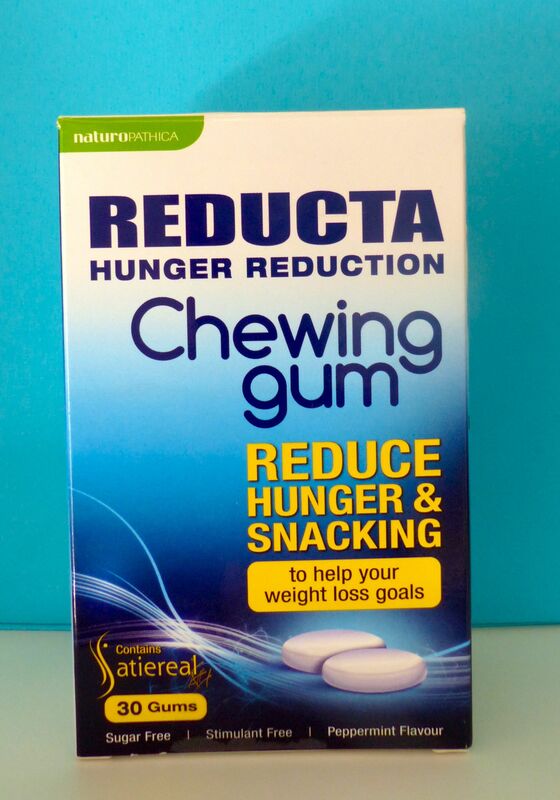 At most, this ridiculous gum was probably having a mild placebo effect for her and that is all. Hopefully I have now learnt my lesson that looking for an easy option to help lose a few kilos is always a waste of time and money. This week, I’m just going to up my quota of spin classes at the gym instead. 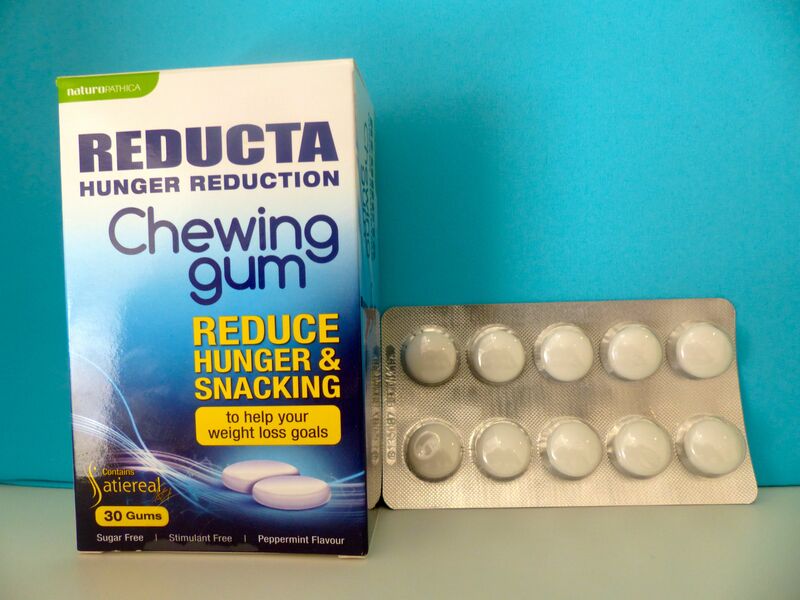 This entry was posted in Opinion and tagged Appetite control, Appetite reduction, Coles, Diet fads, Diet gimmicks, Diet Pill Examiner, Dieting, Exercise, Hunger pangs, Reducta, Reducta chewing gum, Supermarket, Weight loss by JenniferHansen. Bookmark the permalink.